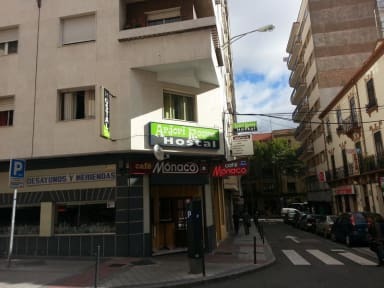 Distinguished for its excellent location just 5 minutes walk from the Plaza Mayor along with all the monuments and nightlife in the city, as well as being located just 200 meters from Calle Van Dyck, the area known tapas its inhabitants. The train and bus stations are within a 10 minute walk. 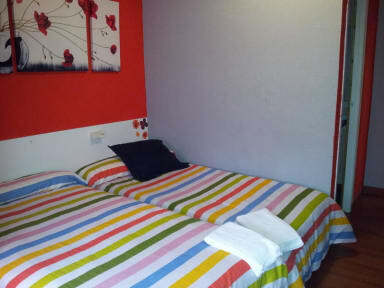 Ideal for organizing your visit to Salamanca with his family and friends as it has room for up to 5 people, all simple but cozy, with private bathroom, TV and free WIFI. We offer to you a lot facilities like: Continental Breakfast (an extra cost, Free internet access, maps, flat screen TV, cots under request, 1 towel...etc.